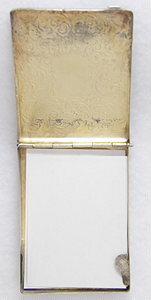 Delicately swirled engraving is on the front of this sterling silver Victorian memo pad. 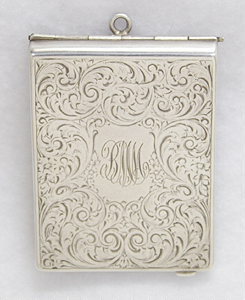 The initials “R.M.A.” are engraved in the center of the front. 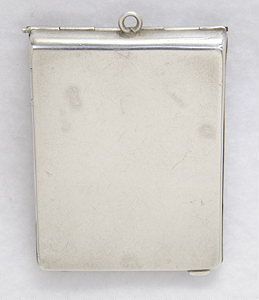 It has a plain back and measures 2 1/4" tall, 1 5/8” wide and 3/8” deep. Circa: 1870.